This is, if you will, the jackpot. It is awarded (only) to producers and is granted last. All the features of the film are taken into consideration, including the directing, music, acting, writing, editing, and any other aspect that contributes to the film as a whole. This year’s nominees: “The Big Short”, “Bridge of Spies”, “Brooklyn”, “Mad Max: Fury Road”, “The Martian”, “The Revenant”, “Room”, & “Spotlight”. This category, though rather straightforward, has some history. Originally, it was divided into “Comedy” and “Dramatic” but were merged in time. Also, in previous years it was possible for one director to be nominated for several films (in the course of one year), but this too has been changed. Unsurprisingly, the Best Director and Best Picture categories often go hand in hand. This year’s nominees: Adam McKay, George Miller, Alejandro Gonzalez Inarritu, Lenny Abrahamson, & Tom McCarthy. This one is for an unforgettable performance in a leading role. It is also one of the more frustrating categories as it often seems to overlook those actors and actresses whom we think deserve it the most. This year’s nominees (actor): Bryan Cranston, Matt Damon, Leonardo DiCaprio, Michael Fassbender, & Eddie Redmayne. This year’s nominees (actress): Cate Blanchett, Brie Larson, Jennifer Lawrence, Charlotte Rampling, & Saoirse Ronan. This is one of my favorite categories. It testifies to the true meaning of the art of film making—it’s not all about the lead role, rather it’s about the one thing that makes this particular film great, be it the cinematography, the script, or the supporting actor/actress. Many times the most outstanding performance is given by the supporting character, and it’s reassuring to see it does not go unnoticed. This year’s nominees (supporting actor): Christian Bale, Tom Hardy, Mark Ruffalo, Mark Rylance, & Sylvester Stallone. This year’s nominees (supporting actress): Jennifer Jason Leigh, Rooney Mara, Rachel McAdams, Alicia Vikander, & Kate Winslet. This category is rather recent compared to the others. It is also unique in that it is not given to one particular person (such as the director or producer), rather it presented as a more general award to the submitting country. With 55 out of 67 awards handed out throughout the years, Europe definitely holds the record. This year’s nominees: “Embrace of the Serpent” (Colombia), “Mustang” (France), “Son of Saul” (Hungary), “Theeb” (Jordan), & “A War” (Denmark). Finally, this young category (since 2001) is awarded for films in which (at least) 75% of the film and its characters are animated. The dominating production is Pixar, who won 7 out of 10 nominations so far. By the way, this is also one of the more unique and precious categories, as good animated films are so hard to find. This year’s nominees: “Anomalisa”, “Boy and the World”, “Inside Out”, “Shaun the Sheep Movie”, & “When Marnie Was There”. 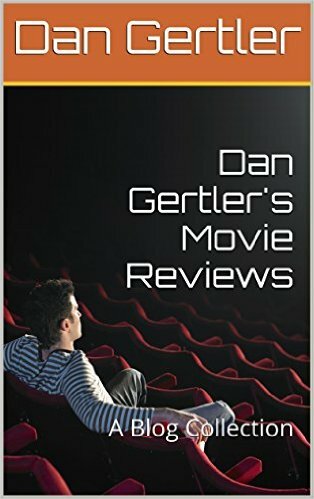 Nice review about the movie The Oscars by the author. This is one of my best movie and i loved the way movie showed the importance of oscar award and the passion that actor and actress love to have it.